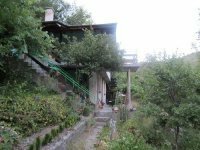 VILLAS AND APARTMENTS TO RENT IN THE STARA PLANINA MOUNTAINS, BULGARIA. Welcome to our selection of holiday homes to rent in the Stara Planina Mountains, Bulgaria. The Stara Planina Mountain range is an extension of the Carpathians separated by the river Danube, the mountain range runs from Serbia through central Bulgaria to the Black Sea. The area boasts huge areas of untouched nature with vast forests rich in flora and fauna. The area is popular with tourists throughout the year being an area of outstanding natural beauty, walking and wildlife holidays to the region are very popular. Looking for self catering holiday accommodation in the Stara Planina Mountains? Then below is a selection of apartments in the Stara Planina Mountains and villas in the Stara Planina Mountains that can be rented direct from their owners. You can either click on each listing for further details or you can use our search engine on the left if you are looking for something in particular.